What up my gardening budz? I hope that you’re ready for an intense amount of perennial posts, as I’ve got lots of late spring loveliness blooming in my garden at the moment. 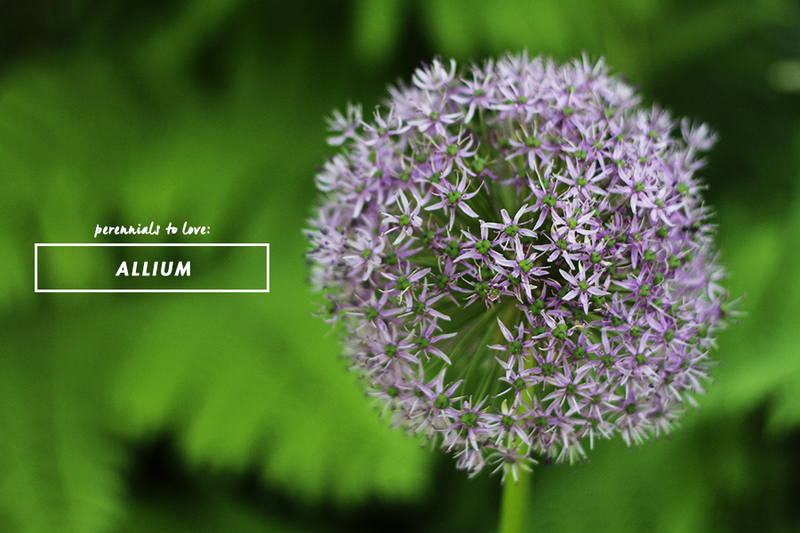 Let me start with Allium which is brand new to me. Allium (aka basically an onion flower) is my new fav. 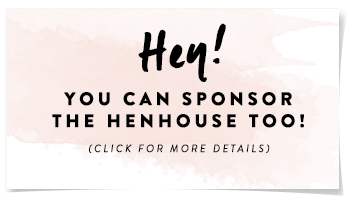 This has been a great way for me to add a lot of architectural interest to my flower beds without needing to take up a whole lotta space. 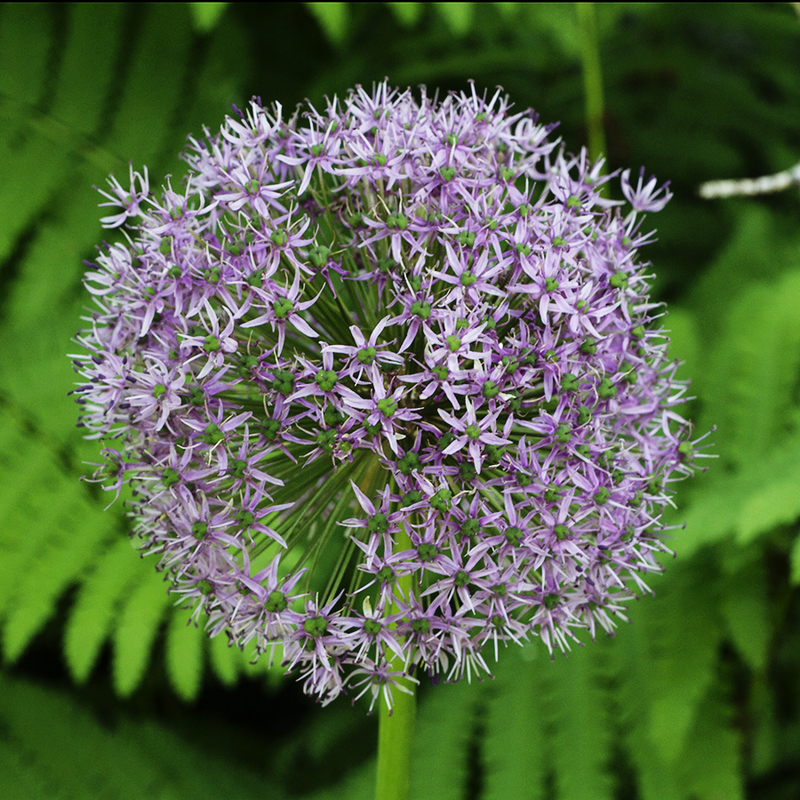 This particular Allium plant boasts a ridiculously large purple pom that floats on top of the thinnest stem — it towers above hostas and ferns. I lurve it. 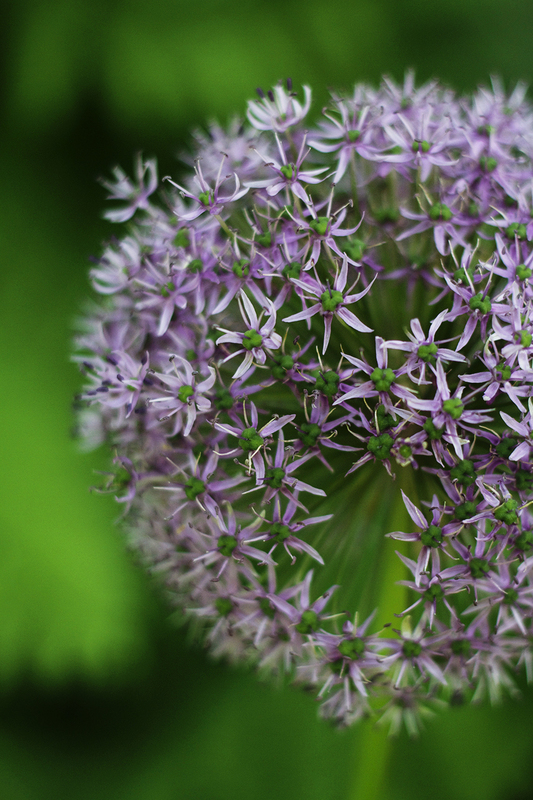 Allium is the family name used to categorize onions, shallots, and garlic, the ornamental variety is the kind that you can grow in your garden. 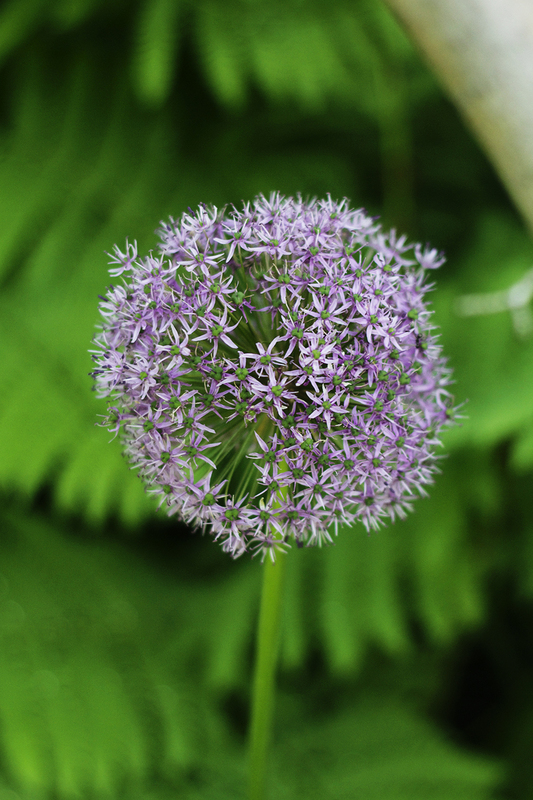 Ornamental Alliums come in a range of heights and flowers sizes and a variety of shades of purple and white. I’ve got some pretty big ones, if you couldn’t tell. I’ve added these to the garden on the front side of my house. They aren’t picky and don’t require a lot of special care, all they need is well drained soil and sunlight. We don’t have problems with deer here in the city, but rest at ease country folk, antlered herbivores and rodents don’t like to nibble on these onions. Be forewarned, there’s not a whole lot of instant gratification that goes along with these bulbs. Like tulips and daffodils these need to be planted in the fall and you won’t find them in the aisles of your local nursery (unless you’re in the fall bulb section). That means you have to plan ahead, and wait it out, my friends. I planted two bulbs last fall, which was a big mistake, I didn’t realize how much I’d love these guys, and I’m afraid I’ll need to plant more this coming year. As a bonus they do a good of multiplying naturally and can be left basically untouched, so I’ve got my fingers crossed. After the poms have bloomed feel free to cut the stems to use in flower arrangements. Take care to leave the leafy bottoms. The bulbs are still needing to store lots of energy for the next year and need the leafs to create food via photosynthesis (did I just blow your mind with my cool use of a science word?). Continue to water the plant until the leafs begin to yellow and dormancy begins in the fall. I like the fun lollipop shape. I’ll have to remember to plan ahead for next year. Do you have any photos of it as part of the garden? The closeup shots are lovely, but it’d be fun to see how the allium works in the overall garden design. Thanks as always for the great posts! So I bought six allium bulbs last fall with every intention of sticking them in the ground, but that didn’t happen. They spent the winter in a dark cabinet under our beach bag. I was able to plant them just a few weeks ago when night time temps were in the 30’s and I’m so pleased to report that they are growing like mad!! !Fingers crossed they bloom this summer, but I’m just happy they are still kicking. The bulbs are durable enough to survive intense neglect it seems. I’d love to see some overall pics of your late spring garden too. 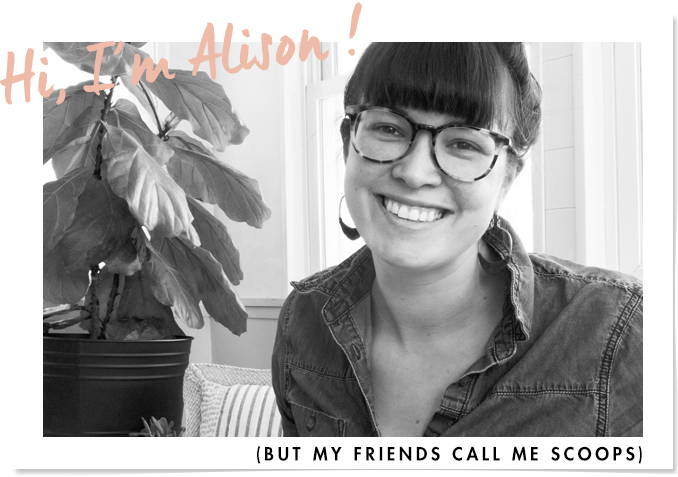 Older Post B(log)BQ with Weber, and an Ace Giveaway!